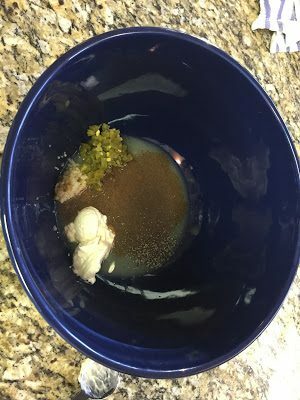 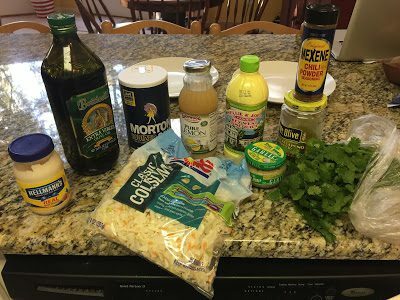 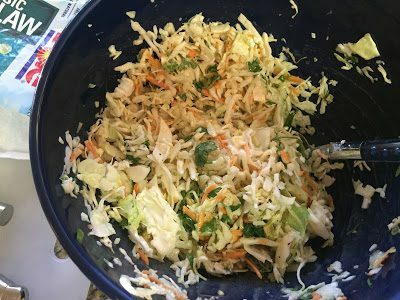 Combine first 8 ingredients in a large salad bowl. 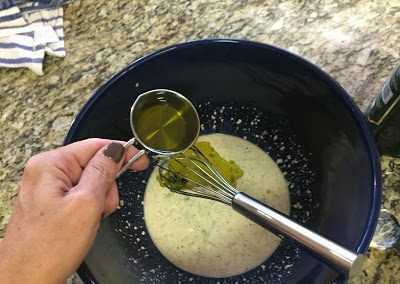 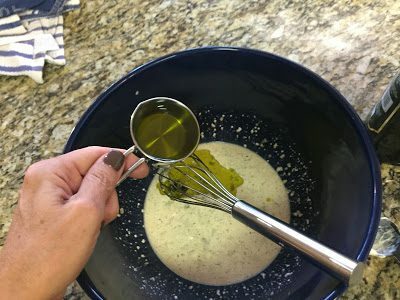 Gradually whisk in the olive oil until all elements are combined. 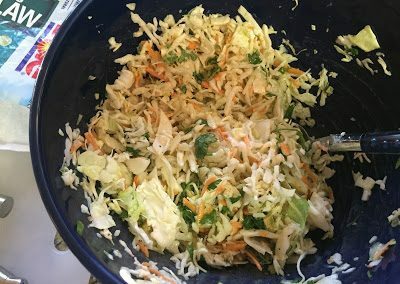 Toss together with the cabbage and the cilantro.